The work that goes into blogging can easily take up an entire day. But in my opinion, it’s best to work smarter and not harder. 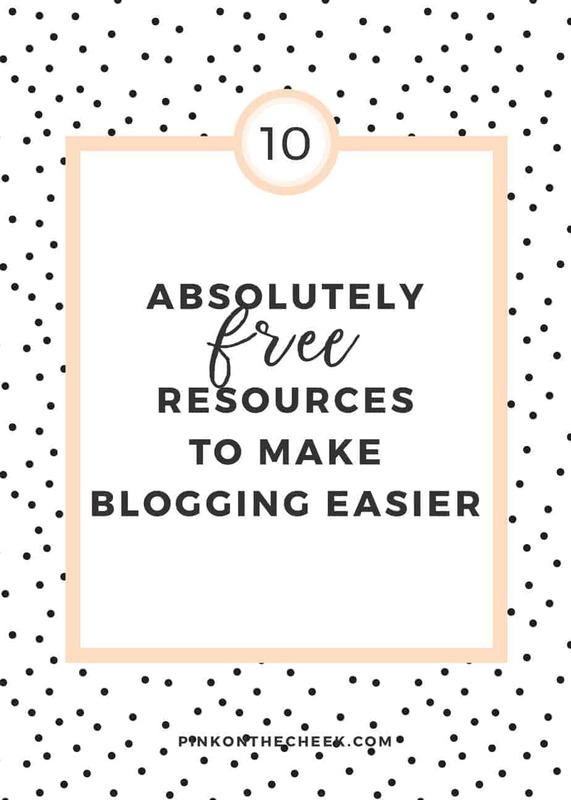 Keep reading to see my absolutely free resources to make blogging easier. To create one blog post, there are pictures to be taken and edited. Then there is the work of writing and editing the post. But after the post goes live, there’s the added work of promoting and interacting on social media. But it doesn’t have to take up your entire day if you have the resources on your side to make things easier. If you don’t have the time to take photos for your blog post, I recommend using stock photos. I have rounded up some of the best free stock photos for your blog that are not only gorgeous but definitely not cheesy. If you are looking for free templates for your social media graphics, sign up for Creative Market. Each Monday, six freebies will be sent your inbox. Lately, I have found some great FREE graphics and templates to use on my blog. If you haven’t found a template you love for your blog graphics, you can make your own on Canva. After signing up for Canva, head to their design area to find thousands of templates that are perfectly sized for Pinterest, Instagram, and more! If Canva isn’t your thing, that’s okay! There are other websites that can help you create stunning graphics. I have been resourcing from Desygner to create graphics for my YouTube channel. Got all of your creative juices flowing but still don’t know what to write about that day? I have a list of 50 blog post ideas for when you are in a rut. With Buffer’s free plan, you are able to schedule up to 10 social media posts. I like to use Buffer if I am working on a blog campaign with a brand. I can stagger out the social media posts and keep track of the hashtags and content in one place. 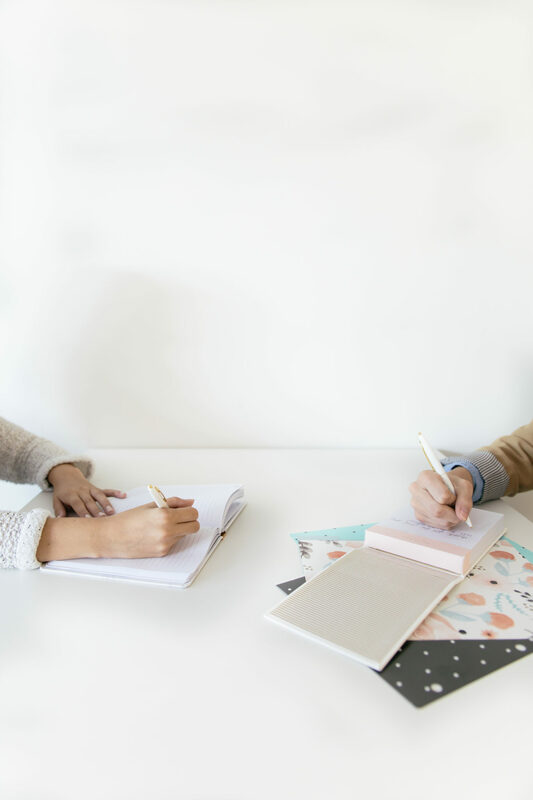 With HootSuite’s free plan, you are able to schedule up to 30 social media posts. Combine this with Buffer and you can have 40 scheduled posts each month for free! If you are tired of having your Instagram shares to Twitter as a link, I have your fix! Use IFTTT to tweet your Instagrams as a native photo using this recipe. 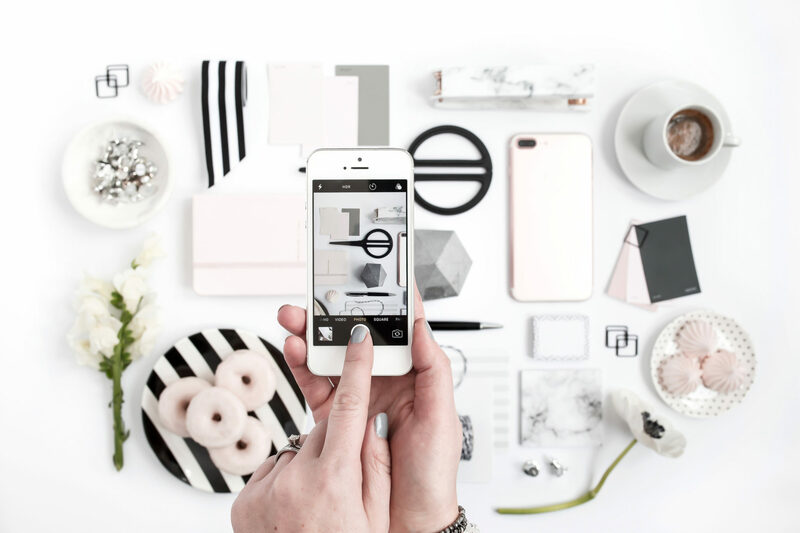 UNUM is an iPhone app that allows you to plan out your Instagram feed. Their visual planner will show you how your feed will look when you add photos. It’s great to see how each photo will look like next to each other! If you have a long link that you would like shortened or customized, Bit.ly will be your new best friend. If you have a free resource that helps you with blogging and social media, I would love to hear it! Share below in the comments. Canva was recently introduced to me and I love it! I’ll have to try out a few scheduled posts… I hear they’re a great tool to use! Yes, absolutely! No one can be online 24/7. Let these schedulers do the work for you! I absolutely LOVE Canva! I use it so much! I’ve heard of Buffer and Hootsuite, but I’ve never used used them. At least not yet! Right?! I was tired of how Instagram posts to Twitter, too! Give me the full image! These are all great resources! I use quite a few of them myself. Thanks Jenny, I am glad you found these helpful! Canva is the best for a quick image! Sometimes I don’t feel like working on an image in Photoshop! I love canva so so so much that I pay for it, it’s THAT GOOD. Also dig Creative Market and Buffer! You listed some reallllllly good ones, can’t live without those. Thank you so much! I love Canva for PDFs, it’s so easy to work on! Thanks for the great tips. These are GOOD resources. PINNED!! Thank you for pinning Joleen! Several of these I didn’t know about! Need to bookmark this page. 🙂 Thanks for the tips girl! Canva is one of my faves!! Yes – I use most of these! I did however recently pay for PicMonkey again because I feel like it allows me to do so much more. I hadn’t heard of some of these, so thank you for sharing! What an awesome list of blogging resources! I’ve never heard of IFTTT or UNUM. I need to go check those out right now! Thank you so much for sharing your expertise. These are some really great resources! I love Hootsuite (though it can be finicky at times) and Canva. Great post thank you for sharing these tricks, I don’t use all of these but will defianetly be saving this post to try them! Tried using canva but found it confusing, I am now on Picmonkey but still visit canva once in a while. Canva is the best thing ever. A bloggers best friend. These are all great resources. I’ve been blogging almost since the dinosaurs roamed free, and there are so many tools now to make the job easier. Canva is my favorite to use for collages – its so easy to use! I love Canva for all of my graphics needs, but I haven’t heard of desygner. I am going to check that out – as well as a few others on this list. Thanks! Such a great list of resources and tips!! Thank you for all the ideas! Pinning this! Thanks for making this list! The only one I’d used before was Canva. I can’t wait to try out some of these resources! Yes!! Such great recommendations for bloggers! I’ve never heard of Buffer though! I’ll have to check that out! Awesome resource guide! Thanks, I am always looking for help finding new blog topics! Love the Hootsuite and Buffer combo! Thanks for the info. Great list! I really love using Canva & I recently switched over to UNUM from Planoly & I love it so far…so much better! I just discovered Canva and I really like it! You.are.a.life.saver. You have no idea how much you helped me. I was looking for compiled information like this. Thanks so much. Really helpful tips for new bloggers.